Excelsior Hotel Malta introduces the new al fresco Tiki Grill. 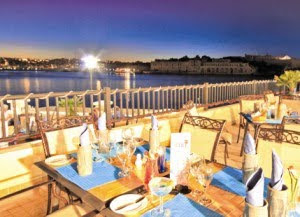 Tuesday 15th June 2010, Malta – The aroma of fresh fish and the gentle grilling of sizzling Rib Eye steaks await the Excelsior diner while the creations of the Pastry Chef await their dessert. This is the Grand Hotel Excelsior’s new Tiki Grill which, as its name suggests, serves up a menu that offers 7 sizzling grills including fresh fish, beef rib eye steak, Souvlaki chicken skewers in a traditional Greek marinade, traditional Turkish lamb kebabs, tuna and swordfish steaks marinated with aromatic seasoning and spices with Texas-style new potatoes, Maltese pepperonata with green peppers, tomatoes, olives and capers. There’s anti-pasti to start. And to finish, those Pastry Chef creations make it a 3-course meal. The new Tiki Grill is to be found next to the Excelsior’s outdoor pool and the Marxamxett Harbour, for those diners who seek a venue that favours al fresco menu variety during those long summer evenings. There’s no need to dress up for these nightly occasions. Now that summer has started, the dress code is simply casual in anticipation of some serious wining and dining in the cool of the evening air. As an Excelsior spokesman stated, the dress code for Tiki Grill may be casual but the cuisine and service remains 5-star. Just across from the Tiki Grill next to the marina, the Excelsior’s very own Yacht Club is open for lunch and dinner with pizza and pasta and other light dishes. The Tiki Grill is open from 8pm till late. This entry was posted in Things to do in Malta on June 30, 2010 by admin. 10th June 2010, Malta – From 19th May for seven days, the conference rooms and bedrooms of the Grand Hotel Excelsior were ringing to the sound of happy school children and families testing their skills on the computer screen. The Grand Hotel Excelsior hosted EMBED, an occasion to celebrate good practice of ICT usage in education. EMBED was a wonderful opportunity for children to experience the 5-star conference facilities of the Excelsior in pursuit of their computing skills. The children made full use of the hotel’s Floriani Hall and conference rooms; even Excelsior guest bedrooms were converted into workshops for the children. In fact, this is the second time that this event has been held at the hotel, an event that the Grand Hotel Excelsior hopes is not the last. hands-on experience, children used the workshops to become more acquainted with graphics, multimedia, animation, music, physical education using Wii, Lego NXT, Bee-Bots, WE-DO robots, Physics and Interactive whiteboards amongst others. The event was organised by the Curriculum and eLearning Department within the Directorate for Quality and Standards in Education (DQSE), and the Directorate for Educational Services (DES). For additional information, contact the Grand Hotel Excelsior on 00356 2125 0520 or email info@excelsior.com.mt. Countdown to the Isle of MTV Malta Special Free Concert! This Wednesday the highly anticipated Isle of MTV Malta Special Concert will be held at the Granaries in Floriana, only a 5 minutes’ walk from the Grand Hotel Excelsior Malta. A live performance by David Guetta, French Grammy nominated DJ & producer and Chris Willis, American singer, song writer & producer, will complete the line up alongside Kid Rock, Kelis and Scissor Sisters for this year’s Isle of MTV Malta Special! MTV’s hit Summer Concert promises to be a sizzling show! This event has become one of the highlights of the European summer music scene. 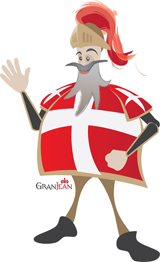 The concert will serve as the ‘Gran Finale’ to the popular Malta Music Week. Stay at the Grand Hotel Excelsior this Week and benefit from Our Great Overnight Rates whilst being in close proximity to the event venue. This entry was posted in Isle of MTV Malta Special on June 28, 2010 by admin.